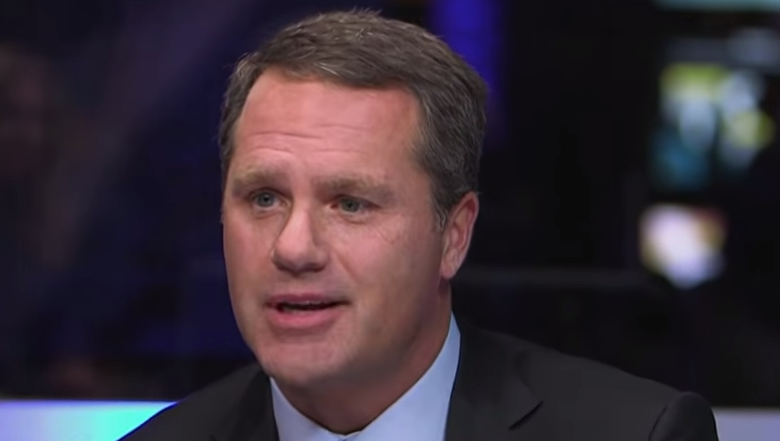 The CEO of Walmart Doug McMillion says that the company has a lot of work going on to change the company. He says that the company is becoming more digital and is changing how they work from within to get faster, more nimble, and adapt to what’s happening in retail. McMillion is a real advocate of change within the company, pointing out that what has happened to companies like Sears can happen to us too. We’ve got a lot of work going on to change the company. The company is becoming more digital and we’re changing how we work from within to get faster, more nimble, adapting to what’s happening in retail. Those plans result in lower costs. We’ve been lowering prices for customers and we need to keep doing that. We’ve got to build this ecommerce business in a way where it delights customers all the time. We’re improving in many areas as it relates to that. Then kind of the magic of Walmart is how we put it all together. Grocery pickup has been really great for us, we’re learning how to do deliveries. There’s a lot in front of us in terms of what we control and what we can do and that’s what we’re focused on. There’s a transition going on and change that is happening inside of all businesses and across industries. It’s certainly happening within Walmart. We’re learning how to put automation in-place like floor cleaners that are autonomous, and also an industrial robot with a camera on it that’s looking at the merchandise in the aisle so we know where things are. It’s learning how to communicate with a device that goes up and down the aisle that checks to make sure that things are in the right place, that they’re priced right, looking to see if we have inventory above if it needs to be pulled down, and helping us as associates do our jobs better. I think over time automation will reduce jobs, there will be a period of disruption, but with our turnover in retail, we can manage through that. We want to train people, upskill them so that they can learn to do new things. As this change is happening now we’ve already seen new jobs like personal shoppers emerge, we’ve got about thirty thousand personal shoppers in the United States now that are picking grocery orders in the stores for pickup. One of the most popular things we’ve got right now is a grocery service where you can order on your mobile app, pick a time slot and on your way home from school with the kids swing through and we put it in your trunk and you take off. That business has grown a lot and there are people that now have new jobs creating that order for you. Folks come out to the car, put in the trunk for you, talk to you for a few minutes, and that’s gone really well. What I really think will happen is we’re going to find new jobs, delivery jobs, and jobs related to customer service in the stores. We want to improve the environment the stores, we want our fresh food presentation to be better, we want our retail presentation to be better. We will redirect some of those positions towards that. The truth is after learning from so many people, a little bit from Sam Walton, David Glass, Lee Scott, Mike Duke, and the leaders at Walmart. We know that retailers come and go. Businesses grow and they don’t change enough and they decline over time. Retailers do that on a bit of a faster cycle so we got a healthy paranoia and always have. If there were a group of Walmart associates around here right now and we asked them the only thing other than our purpose and values that are constant at Walmart they would fill in the blank with change. We adapt, we learn, we learn from competition, we focus on the customer, we’re always changing. I carry an app that’s got the top-ten retailers by decade back to 1950. There are company’s on here, TG&Y, E. J. Korvette, the rise and fall of Sears and others. It’s just a reminder that this can happen to us too. Part of what I do within the company is trying to make a case for change, point to a strategy and a vision for our associates. We’ve got great people and they rally and move and change. It’s now happening at an accelerated rate inside the company causing people to rethink what Walmart is as a business and it’s really exciting.